Dr Seuss’s work never found its way into our house when I was growing up but when I discovered his books as an adult I immediately knew that I was on to something special. When you consider the period in which his books were first published (early fifties) its clear to see that he took the art of picture books forward into areas which it had previously never gone. He achieved in children’s books what Jimi Hendrix did in music and Spike Milligan did in comedy. It takes artistic pioneers such as these to open the door for the next generation of artists to come through and walk in their footsteps. I recognise that, though I never read him as a child or even when I started producing picture books, in some ways I owe a great debt to this man. For a book to have the power to move us it must be true to life and that means characters must be psychologically correct; if they are not we do not believe in them. This little portrait of hatred is spot on - I like the way the Grinch’s closed heart (‘two sizes too small’) cannot bear the happiness of others because it shows up its own misery. Who else could these lines have come from but Dr Seuss? It’s quite something to have created a writing style that is so distinct it can be recognised within the space of a few lines! ‘There’s a light on this tree that won’t work on one side. I think it’s the fact that he lies to her and then gets her a drink like a loving parent would do that’s so disturbing. 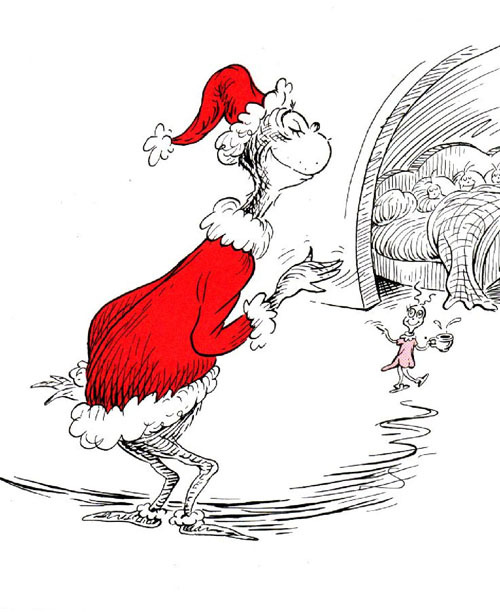 You can’t help feeling that Seuss is having great fun in making the Grinch quite so nasty, especially when he humorously documents the way the Whos house has been cleared out. On the walls he left nothing but hooks and some wire. Was singing - without any presents at all. Maybe Christmas... perhaps - means a little bit more! We find out that the Whos have their own source of warmth and light which cannot be taken away by the Grinch. 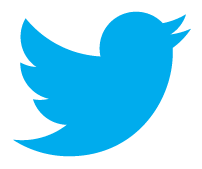 It’s interesting that the moral is not really aimed at the Whos; it is aimed at us, the reader. The Whos get all their presents back but only once they have demonstrated to us (they seemed to already know) that Christmas is about more than just presents. 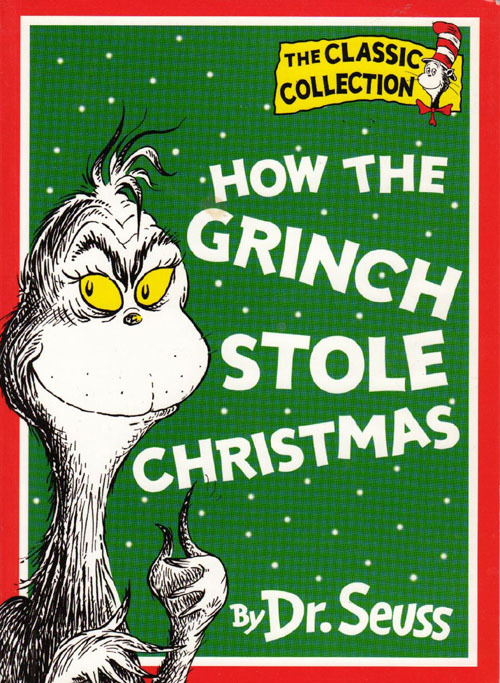 To understand what Christmas is really about Seuss creates a sort of anti-Father Christmas in the Grinch. He turns the world upside down but in that inverted mirror we see our world more clearly. For me this talent for holding a mirror up to the world is what makes Dr Seuss so special.